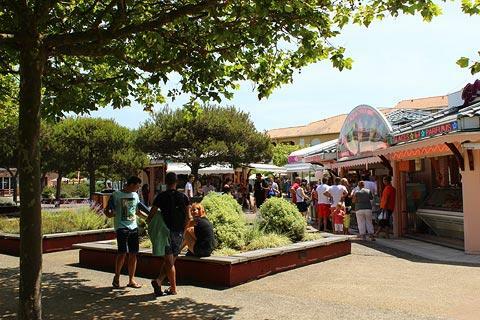 Biscarrosse is a popular seaside resort on the Atlantic coast south of Arcachon in south-west France. 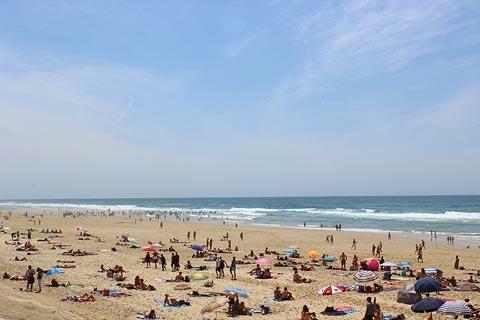 The coastal resort is called Biscarrosse Plage although locals and French people often refer to the resort as Bisca. 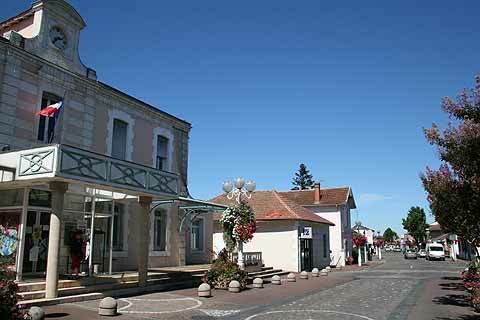 There are several distinct parts to Biscarrosse: the beach resort, the town itself and the lake. 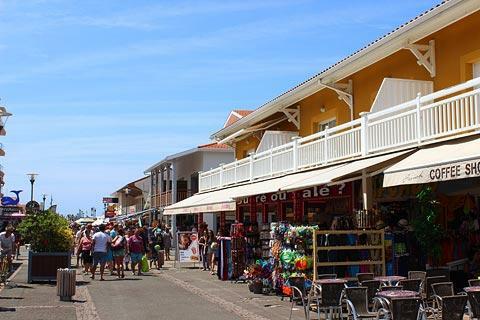 The town is a few kilometres away from the beaches and is a popular tourist resort in its own right as it is on the edge of Biscarrosse lake. France This Way comment: Biscarrosse Plage and the beach is of course the highlight for most visitors and is very popular. 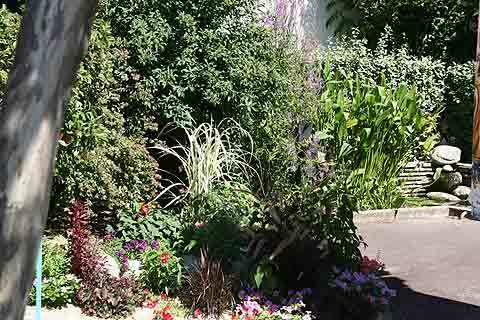 It is lively and active in summer and tends to attract a young crowd! 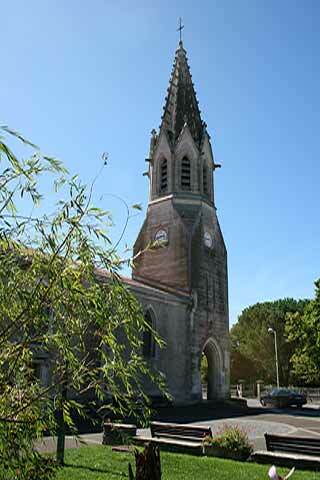 There is a 15th century castle and a church that are of historical interest, but most important - don't miss the 'Biscarrosse Elm'. 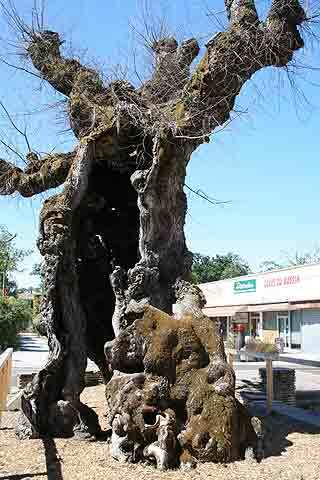 At 750 years old it is the oldest in Europe, and one of the few to avoid Dutch Elm disease. It's in pretty rough looking condition, but so would you be if you were that old! There are actually two large leisure lakes here : the Etang de Biscarrosse et de Parentis (to the south) and the Etang de Cazaux et de Sanguinet (to the north), with Biscarrosse town between them. The lakes are popular for learning sailing, windsurfing and water-skiing as well as to soak up the sun on sandy beaches. The lakes are also ideal if the surfing waves on the beach become too much for small children - the lake also has extensive beaches. Next to the Atlantic Ocean is the resort of Biscarrosse Plage. The focus here is of course on enjoying the ocean but you also have the chance for shopping and eating out: mostly in gift shops and fast-food restaurants. The beach, like many on the Atlantic ocean, is a lovely long sandy beach which stretches as far as the eye can see. The beach has an area which is watched by lifeguards during the summer season - stay within the flags - and gets quite crowded (as in the photo below), while the rest of the beach is generally quiet. Although the Atlantic waves can be quite high there is plenty of water between the big waves and the beach, so the sea here is still suitable for children in 'normal' weather. France This Way comment: Biscarrosse Plage is very much given over to tourism, and not as 'posh' as Arcachon, but the beach is exceptional so if you are looking for a lively resort with a focus on beach life or are staying in Arcachon and want to see some bigger waves this could well be the place for you! In the resort behind the beach there are numerous beach bars and shops: I suspect you could eat your moules frites in a different cafe in Biscarrosse every day if you stayed for two weeks! As with the other resorts along this stretch of Atlantic coast, surfing is a popular year round activity at Biscarrosse Plage - and courses are available if you agree that it's never too late to learn something new. The beach is plenty long enough for surfers to find somewhere to surf without causing risk to swimmers. And if you need some more fun or a new challenge, the Adventure Park between Biscarrosse and the sea should be ideal. The focus is on clambering along ropes in the tree tops or bungee jumping towards the ground below. The Adventure Park's motto is 'put the adrenalin in your life' which should give you a clue what's in store! Of course, a trip to Arcachon is a highlight of your visit, as is a visit to the Dune de Pilat (the highest sand dune in Europe) just a few kilometres away. You also have the forests of the Landes to explore, ideally on foot or bicycle, or perhaps on horseback. There is a dedicated cycle path all the way from Biscarrosse Plage to Dune de Pilat, Le Moulleau and Arcachon, 30 kilometres away. It is all very pleasant but the first few kilometres through the pine forests around Biscarrosse is especially lovely, not very hilly and very popular with visitors. If you feel the need for a bit of calm, various other, more secluded, Atlantic beaches with much more limited facilities can be found just a few kilometres north of the town. A little further and the small resort of Le Moulleau is also very pleasant to visit. See more of the popular Atlantic coast resorts in France.